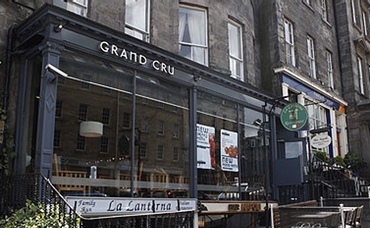 This was our 4th time at Grand Cru and we were more than happy with our latest visit (Sat afternoon). The food was very good value and the portion sizes were larger than previous visits. No complaints here! Our Irish waitress (did not get her name) was very friendly and bubbly and the service was first class though it was quiet due to the great weather and everyone in Edinburgh wanting to sit outdoors. Will certainly go back from time to time .